Join us for the first annual Maryland Cup – a collaboration among five of the top courses in Maryland. 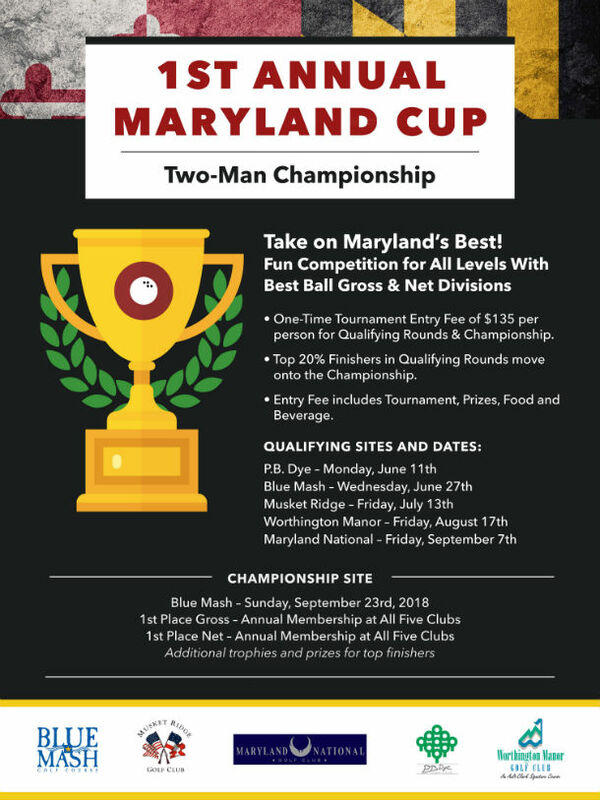 The Blue Mash qualifying event will be held Wednesday, June 27th at 9 am, and the Championship Event will be held at Blue Mash on Sunday, September 23. Complete and submit the registration form and payment below to reserve your spot in this first ever event! Registration fee of $135 per person includes golf, lunch and prizes for the top finishers, and a chance to compete in the Championship event.